We have been busy in the third grade! Our students are a fun, hard working group. Every day has been fun and I’m excited to see what the rest of the year brings! Below is a picture from our very first day of third grade. In English Language Arts we have been learning about fiction. We’ve focused on characters, setting, plot, problem, and solution. This week we learned about being a predictor and we talked a little about how we will have different roles in Reciprocal Teaching groups. In math we have been using number lines to solve addition and subtraction problems. We have also been using number lines to round to the nearest ten and to the nearest hundred. This week we learned about variables and how to solve problems for an unknown number. It is really important that students use a number line to solve problems and NOT the standard algorithm for addition and subtraction (this can be used as a second method to check our work). Today we learned a fun new math game called “Close to 100” where students use number cards to try to find numbers that add up to 100. Everyone loved the game! Playing “Close to 100” during x-block (intervention). We’ve started our unit on weather in science and in social studies we have been learning about Massachusetts and map skills. Here are our completed Massachusetts maps that are hanging up outside our classroom. We are still waiting for a few maps! This week was Spirit Week at the Kennedy School. We decorated our door with reasons why we love the Kennedy and some students dressed up for “Twin Day”. These are some of the books we have been reading this year. “My something beautiful is…” What is your something beautiful? 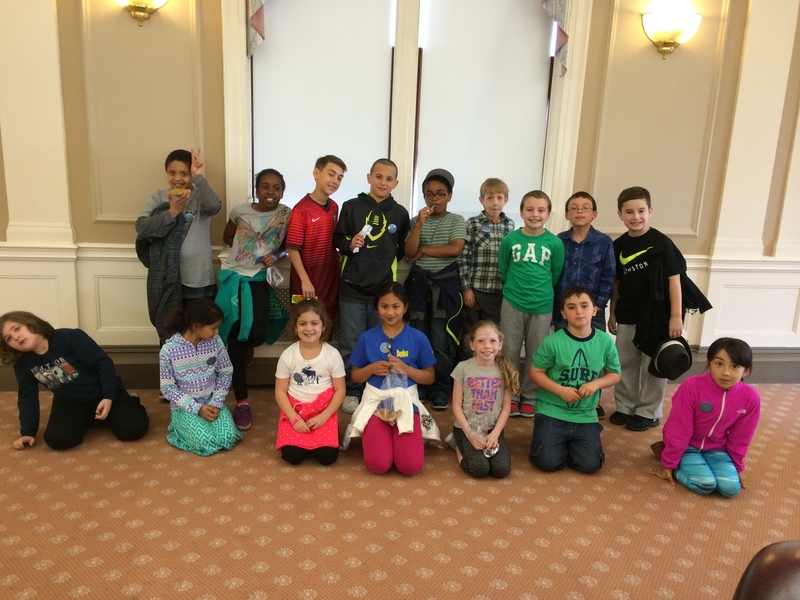 Today our third graders had the pleasure of visiting with Mayor Curtatone at Somerville City Hall. 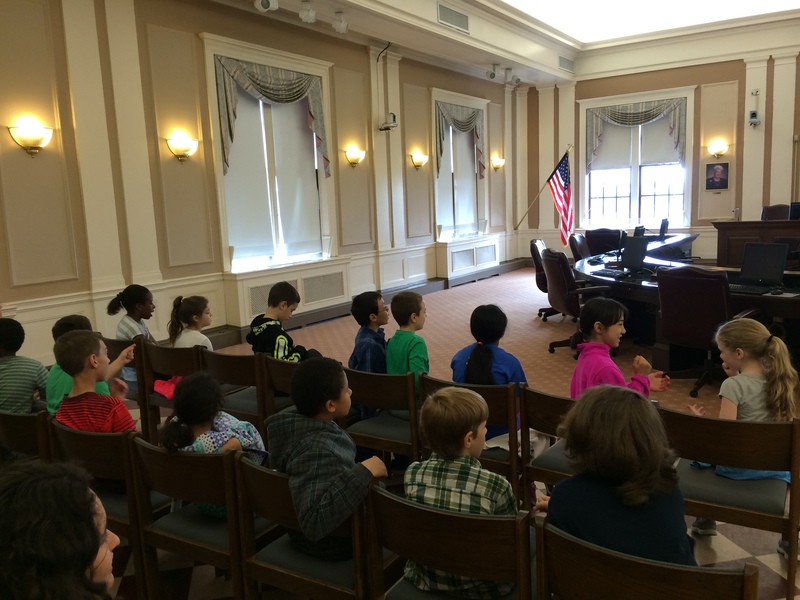 The students learned about Somerville history and asked questions in the Aldermen’s Chambers of City Hall. 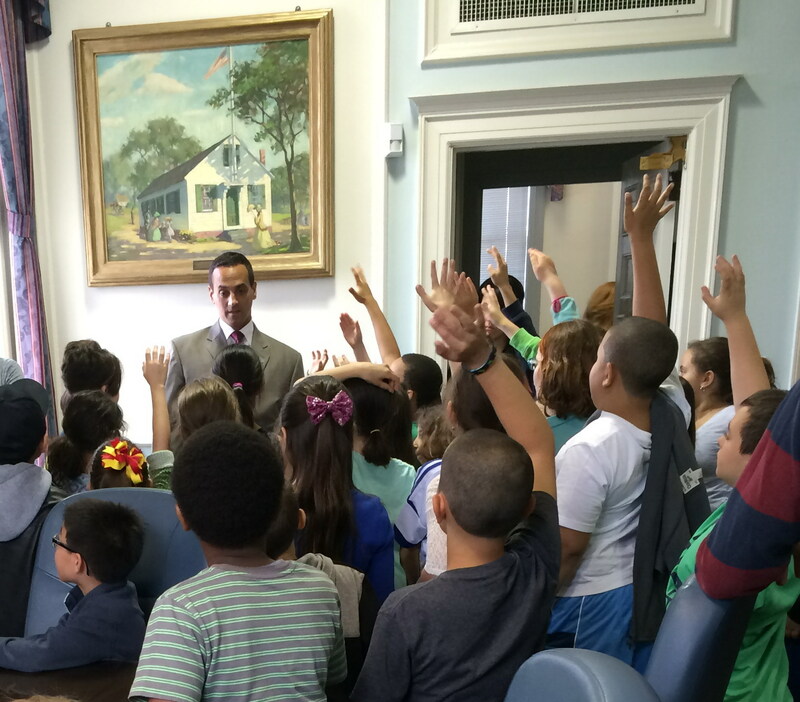 Then the children were able to visit Mayor Curtatone’s personal office. He discussed the artwork that decorated his walls, one of which was a portrait of the Powderhouse. 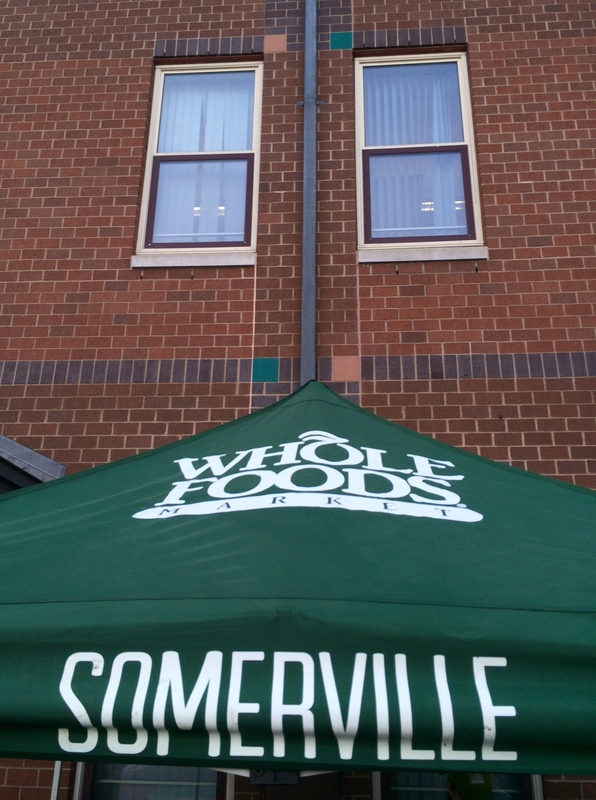 The Mayor also spoke about the plans for the new Somerville High School. Students (and teachers and chaperones) even received t-shirts! The t-shirts celebrate the city winning the All-America City Award in 2015. Thank you for a wonderful visit to City Hall! 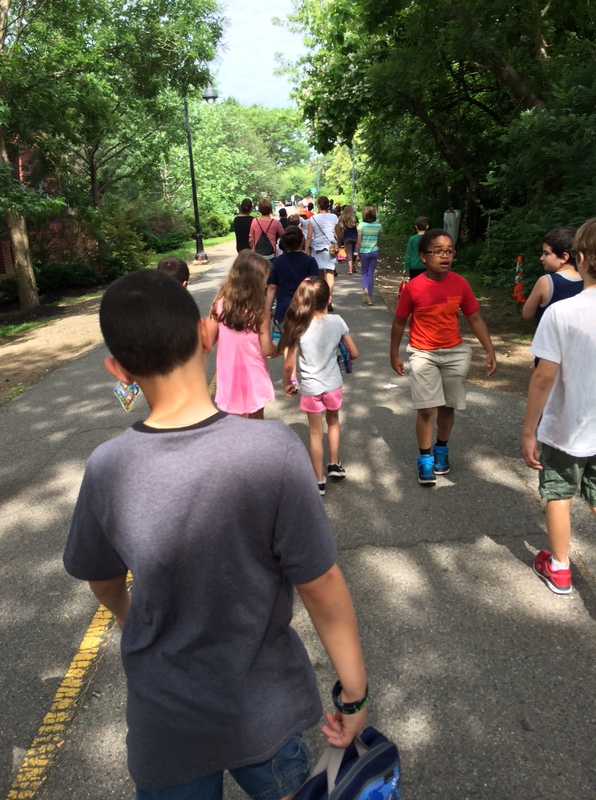 Our students were able to visit the Kennedy School Makerspace/Innovation Lab today for the first time. Read more about the Makerspace, which was launched in partnership with Lesley University, by clicking here. 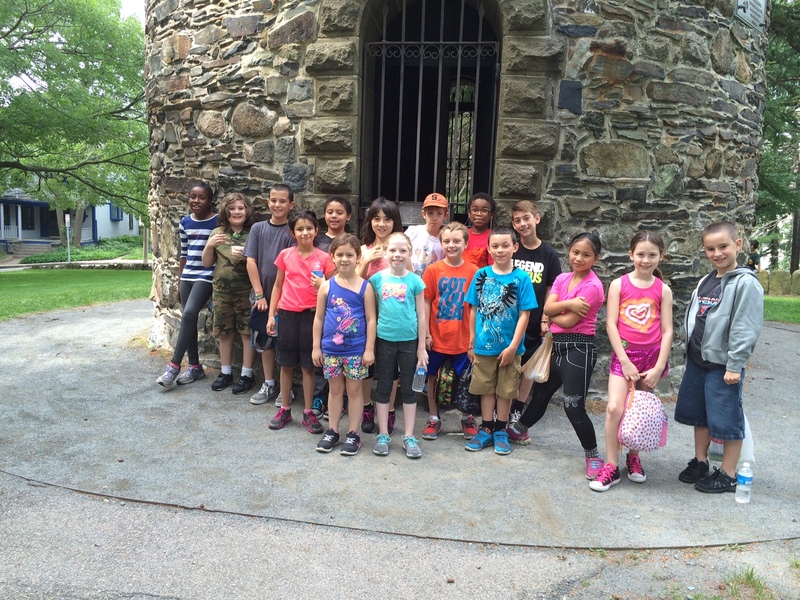 The students were divided into four groups and each group was able to visit two out of four stations. Every student was engaged and excited. When we left their first question was, “Can we go back tomorrow?” Success! 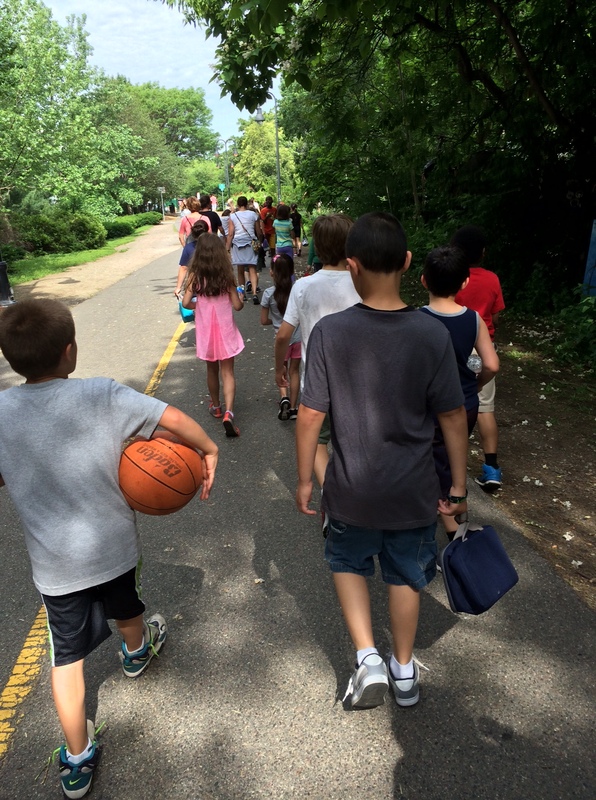 Today our third graders walked from the Kennedy School to Somerville City Hall. Mayor Curtatone greeted everyone in the Aldermanic Chambers, located at 93 Highland Avenue. Mayor Curtatone shared information about the City of Somerville and he answered questions ranging from the Pilgrims to Outback Steakhouse. The students were able to explore the Aldermanic Chambers, trying out the comfortable swivel chairs and posing for pictures. After that, there was a trivia session in the Mayor’s office where one of the students from our class won a hat! 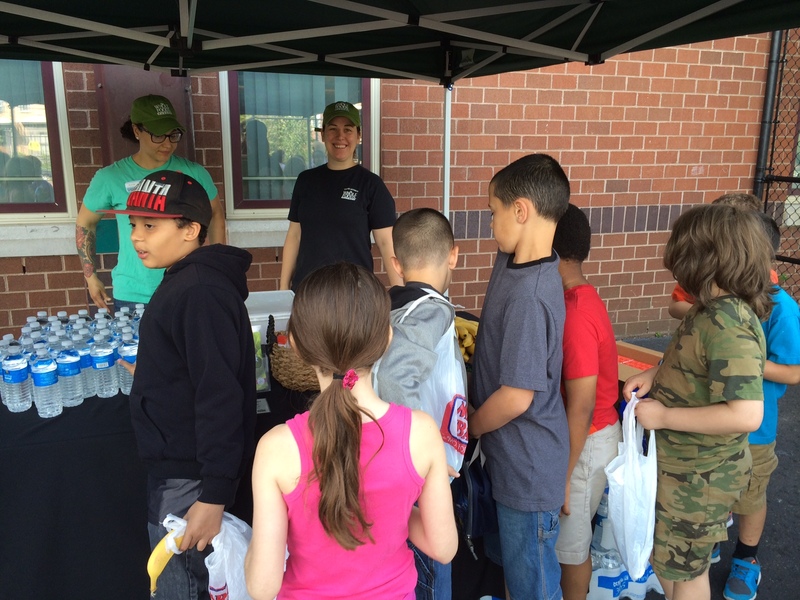 Students then enjoyed whoopie pies, chocolate chip cookies, and popsicles. 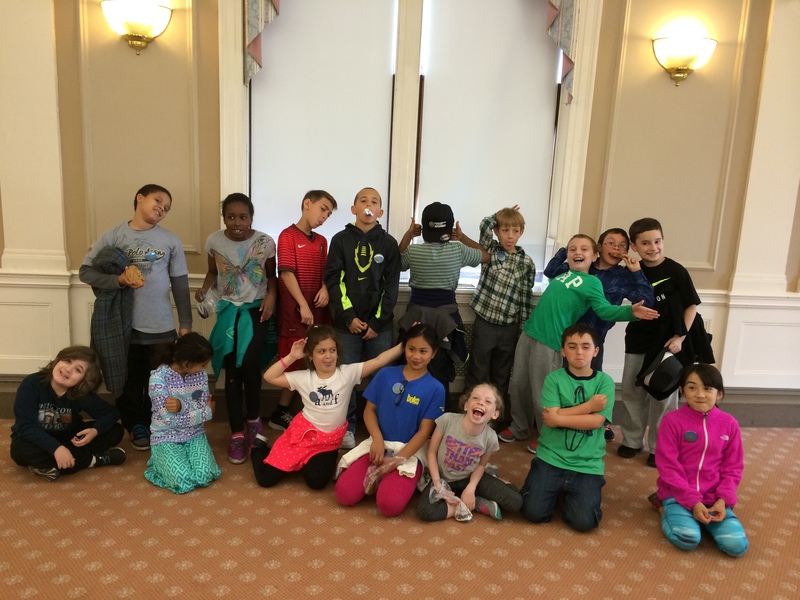 After the sugar rush, our class posed for some silly pictures and then we walked back to school. 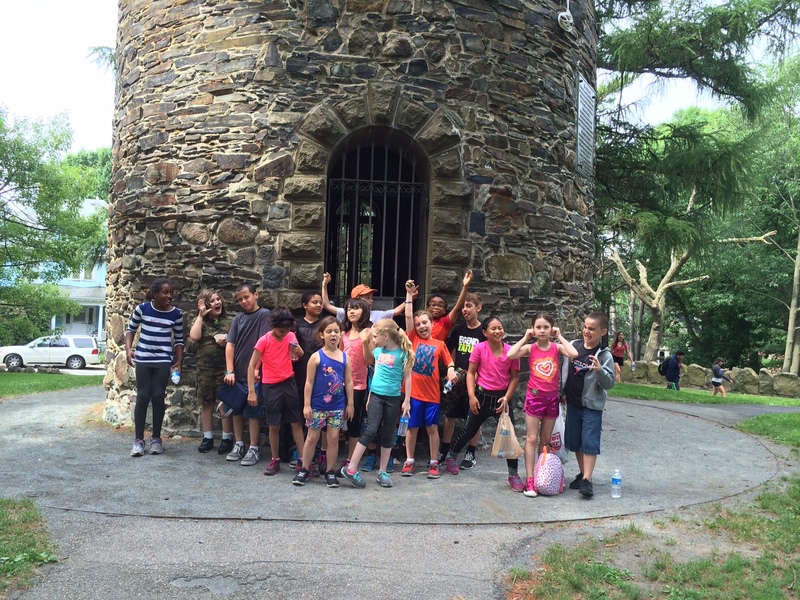 It was a wonderful field trip and everyone enjoyed the day. Thank you to Mayor Curtatone and everyone at City Hall for hosting us! Waiting for Mayor Curtatone to teach us about the City of Somerville. Answering questions in the Mayor’s office.